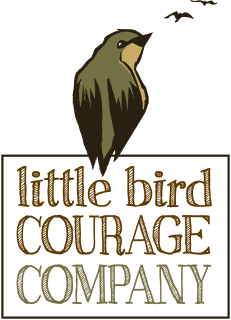 Little Bird Courage Company – Services For A Life! SERVICES & THERAPIES FOR ALL! The primary goal of Occupational Therapy is to enable you to participate in everyday activities. Clients from 0 - 100 years old can benefit from Occupational Therapy- learning the skills they need to move forward in life. At Little Bird Courage Company, we work with clients one on one to get the courage they need to take flight. 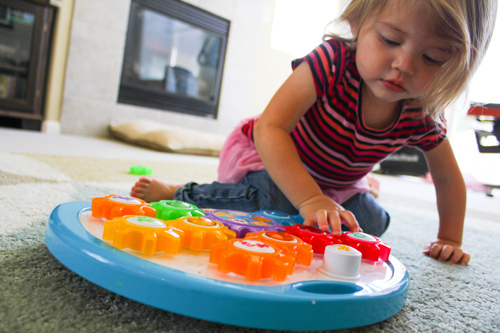 Whether that means meeting developmental milestones, evaluating and treating individual sensory processing challenges, learning life skills, gaining movement, or strengthening their systems. Direct one on one services include face to face contact in a variety of settings including home, school and the community (parks, libraries, restaurants, supermarkets, etc.) This level of service is required for initiating an evaluation. Consultation services are available for families or individuals seeking guidance. Parent consultations may include concerns regarding infant milestones, kindergarten readiness, handwriting, focus and attention, social skills, or concerns raised by others. Individual consultations are available if someone has noticed that they struggle with meeting their potential in the workplace or social relationships due to unidentified barriers. We work with individuals from all ages and all stages in life. From birth to 100 years old, and beyond! Therapy is not ‘one size fits all.’ Each individual has different needs, goals, and availabilities. We work with individuals, families and caregivers to create a schedule and program that fits each persons learning style and life. Sit down with us and review your previous therapy experiences, and work on your options moving forward. For those with past treatment programs, it’s beneficial to do an individualized review and consider what will help you accomplish your goals moving forward. We do large and small scale training and presentations for preschools, elementary schools, professional therapy organizations, and businesses. Subjects include human development, activities of daily living for infants and children, and sensory processing challenges. Contact us for more information on specialized trainings. Monica has always felt called to be a caregiver, reaching out to help others from a young age. She began working as an in-home infant specialist just out of college, and went on get her Masters of Science in Occupational Therapy. Her passion is for helping people maximize their potentials and life dreams while living with a disability. With nearly 20 years experience of working with people of all ages, Monica brings an extraordinary amount of wisdom and efficiency to her care and therapies. She works with families to develop short term and long term life plans for meeting their goals. She is certified in the evaluation and treatment of sensory processing difficulties (SIPT), certified with the national board of Occupational Therapy, and licensed with the state of California. She loves foreign films, people, and foods, because she loves learning about people’s cultures. Monica aspires to create meaningful experiences with people, and assist parents with creating lasting family memories. She paints, creates, dances, and sings with anyone willing to join in. Monica is an excellent OT. Her knowledge and experience are evident in everything she does with her clients. She immediately formed a bond with my son and he looked forward to their OT sessions. He has made tremendous gains while working with Monica which not only helped in his daily life but fostered a growth in his confidence. We are so grateful for all she has done for our family. My son loved when Monica came to see him. Her enthusiasm and love for her work made his OT “work” seem like play to him. Monica is an excellent communicator with children and parents. She worked cooperatively with our family to establish goals for my son. It was such a wonderful moment when my son reached those goals. Monica worked with my son from 15 months old until he was 3. Monica is an amazing OT and person. Every session she was prepared and had an inviting smile on her face. When my son was having a bad day this smile never faltered and she always approached this with compassion and respect. As a parent I felt like she really listened to me and took into account my concerns. She approached each difficulty with care and attention. I can recall many times that she showed me things my son could do when I thought he couldn’t I have worked with many therapists through the years and Monicahonestly makes my top 3. I have learned a lot from Monica and feel she has played a huge role in my son’s success. IS YOUR LITTLE BIRD READY TO FLY?